The Biržai and Rokiškis regions of northeast Lithuania offer the visitor beautiful sights and long-lasting memories. MOST TOURISTS VISITING LITHUANIA FOR THE VERY FIRST TIME usually travel in groups organized by travel agencies or tour operators. They are taken to Vilnius, Kaunas, Klaipėda, Trakai, Neringa, and perhaps a skle-trip to the Rumšiškes open-air museum or the Hill of Crosses. That’s fine if you want to get acquainted with the main cultural, historic, and touristic centers of the country. But after you have seen them, where do you go next? To the surprise of many, Lithuania has much more to offer. Although the country is small by comparison to others, it has a lot more to show the visitor than the main cities and the usual tourist stops. 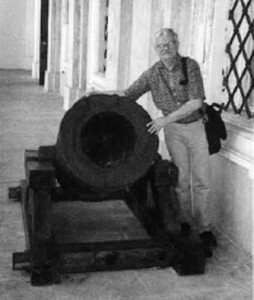 The author with an ancient cannon guarding the castle’s entrance. I go to Lithuania every year, and each time I make a point to visit a different place. This summer I visited a new area — the country’s northeast region and the cities of Biržai and Rokiškis. Because every so often we made a stop to grab a bite, have a cup of coffee or a mug of beer, or visit the area’s most interesting sites, the relatively short trip took us an entire day. Panevežys on the excellent highway was uneventful. We were going in a northwesterly direction. Most of the way the landscape was flat with an occasional stork’s nest perched on top of a farmhouse’s chimney, a dead tree or a lightpole. We bypassed Lithuania’s first capital, Kernave, with its five castle hills, which I had visited during an earlier trip. We also skipped the cities of Ukmerge and Panevežys, both of which I had also visited previously. After Panevežys the road turned north. We realized we were now driving on what is being called “Via Baltica,” a future superhighway which should eventually connect Finland in the north with the capitals of central and western Europe. From the Latvian border near Biržai, “Via Baltica” runs south to Kaunas, and from there to Suvalkai (Suwalki) in Poland. 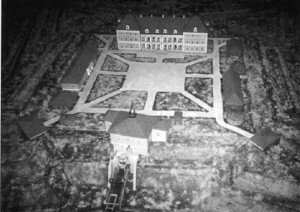 A model of the Biržai castle complex as it looked in the 18th century is on display at the museum. Soon we reached the town of Pasvalys. Pasvalys, and Biržai further northeast, have been on top of the Lithuanian news lately because of the many large sinkholes that have been appearing in the area. Entire farmhouses have sunk into the ground, and walls of hospitals and other buildings have collapsed. According to geologists, the area sits on top of underground rivers running through large subterranean caverns. As result of the extensive land reclamation and melioration of the region during the past years, the water level of these underground rivers has gone way down. This leaves a vacuum which causes the ground above to collapse. We noticed some holes in the distance, but weren’t sure if they were sinkholes or just plain holes dug by some farmer. We decided not to get closer to investigate. After Pasvalys the road narrows and turns northeast, although the scenery doesn’t change much. Biržai was the highlight of our tour. The city is located some 15 kilometers from the Latvian border and at one time was one of the most important political, cultural, and religious centers of Lithuania. For centuries it was owned by and was the residence of one branch of the famous Radvilas (Radzivill) family who built a strong fortress in the 16th century to defend the town from Russian and Swedish attacks. It became Lithuania’s most important defensive outpost. The town and castle were devastated during wars with Sweden in 1625 and 1655. In 1704 the Swedes burned most of the town and destroyed the castle for the third time. After they retreated, the town was occupied by the Russians who held it for five years. The castle was not rebuilt and fell into complete ruin. 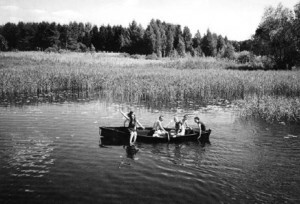 The beautiful man made Širvėna Lake is popular with both young and the old. 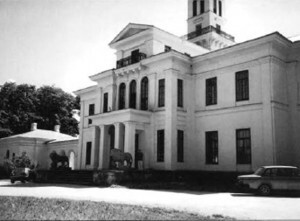 With the impoverishment of the Radvilas family, by the beginning of the 19th century the town and surrounding land came into the possession of the counts Tiškevi­ cius (Tyszkiewicz). 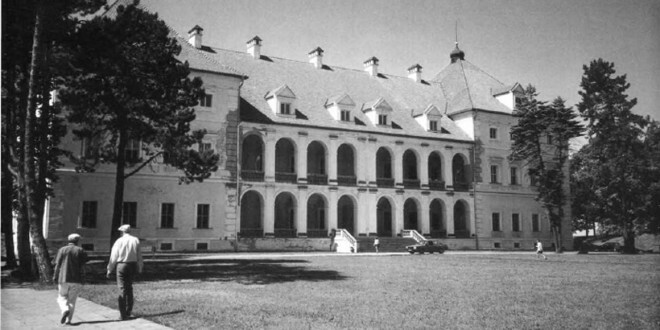 They built the Astravas Palace near Biržai which became their residence. 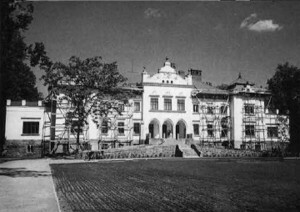 About 10 years ago it was decided to reconstruct the main building of Biržai Castle and make it the new home of the “Šela” regional museum. 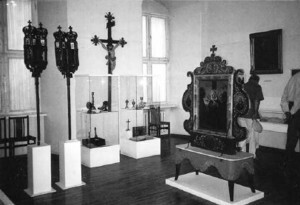 The museum, which was founded in 1928, had changed locations several times until it finally found a permanent home in Biržai Castle. On the lowest level of the museum you can see the foundations and flooring of the original fortress, as well as many artifacts found during the reconstruction, some bearing the Radvilas family coat of arms. The museum has 23 exhibition halls filled with archaeological, historical, cultural, ethnographic and religious collections portraying the development of the city and region since prehistoric times. Biržai is regarded as the cradle of the Evangelical Reformed Church in Lithuania, a religious movement fomented and supported by the Biržai branch of the Radvilas family. To walk across this bridge, perhaps the longest pedestrian bridge in the world, is an experience you don’t forget. Biržai Castle stands a few feet from the shore of Lake Širvena, the oldest man-made lake in Lithuania. The lake was created some four hundred years ago by damming two rivers, the Apašcia and the Agluona. 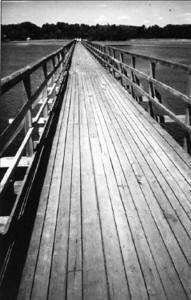 You can walk across the entire lake by a wooden bridge, the longest pedestrian bridge in Lithuania — and perhaps the world — measuring 525 meters in length. The view from the bridge is magnificent. The water lilies you see growing next to the bridge have been declared an endangered and protected species in Lithuania. On the other side of the lake sits the splendid classical-style Astravas Palace, built by the counts Tiškevicius after they gained control of Biržai. Although tourist guides tell you that the palace is still under restoration, that concerts are held there regularly, and that visitors are welcome, all we could see inside were the offices of the textile manufacturing firm “Siulai.”. But with the two majestic bronze lions guarding its entrance, the classical lines of its exterior, and the magnificent ornate lobby, the palace is certainly worth visiting. Biržai is famous for its beer, and Lithuanians swear there is no finer beer in the entire country. The Biržai brewery was already known in the 16th century. The region is also known for its mineral waters, medicinal mud, and the Likenai health resort. We left Biržai and headed in a southeasterly direction towards Rokiškis. The scenery changed gradually from flat farmland to rolling hills and forest-lined lakes. Two large bronze lions guard the entrance to Astravas Palace. In Rokiškis we stopped by the city’s central square with its beautiful neo-Gothic red-brick church built between 1868-1881, and the impressive Freedom Monument built by the noted sculptor R. Antinis. The church, the monument and the entire square were being renovated for the city’s 500th anniversary which will be celebrated this year. Rokiškis began as a private estate in 1499, and later was owned by the famous Tizenhauzas (Tyzenhausen) family. So we decided to visit the nearby 18th century Tizenhauzas Palace, which also was undergoing capital renovation for the quintcentennial. The magnificent palace will become a museum and the museum’s director showed us some of the already completed rooms furnished with authentic period furniture and accessories. We also had the opportunity to visit the memorial museum of the renowned local folk woodcarver Lionginas Šepka (1907-1985), which is located in one of the estate’s original buildings. 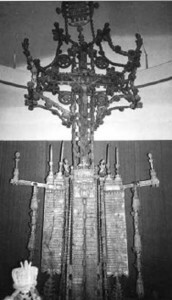 The museum’s collections, which show the region’s rich historic, ethnographic, cultural, and religious past, are systematically displayed in 23 exhibition halls. The Rokiškis region is nationally famous for its cheese, some of which is being exported to Western Europe. From Rokiškis we headed southwest towards Anykšciai. On the way we made a point to stop at the village of Niuronys and visit a unique place in Lithuania, the Horse Museum (Arklio muziejus). While by U.S. standards some Lithuanian museums may not be as large or look as impressive as their American counterparts, they nevertheless have a lot of charm and a certain naivete. So don’t go around telling the locals that we have larger, better, or more interesting museums. Just enjoy them for what they are. The Horse Museum sits all by itself in a heavily wooded area away from everything. It consists of several buildings and barns, one of which has been re-created to look like an old blacksmith’s shop. 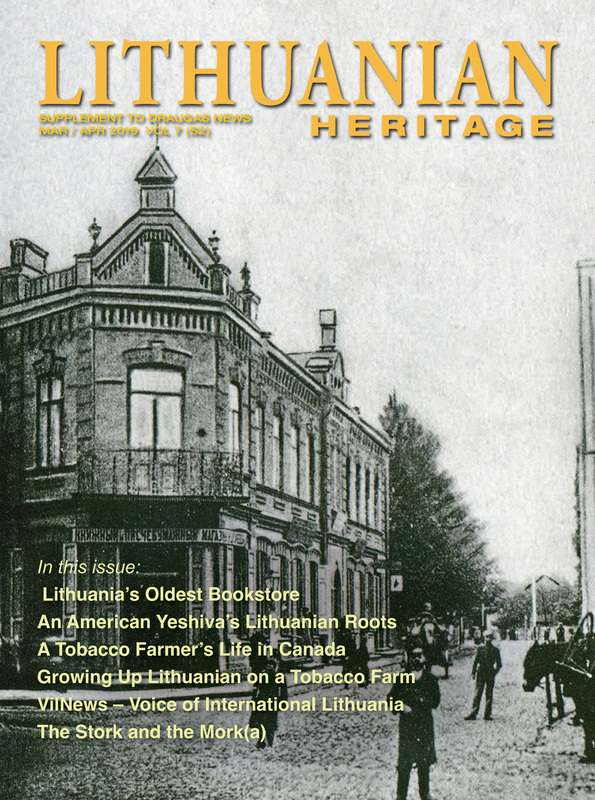 You can see vintage horse-drawn carriages and farm implements on display and learn about the history of the horse in Lithuania. On certain days, you can ride a horse or in one of the old carriages. The museum was founded in 1978 by Petras Vasinauskas (1906-1995) who criss-crossed Lithuania on horseback several times. churches in Lithuania. 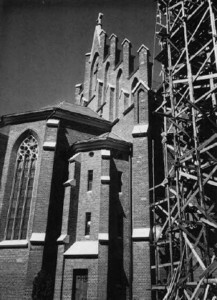 It was built in a neo-Gothic style during the second half of the 19th century. We also bypassed the city of Anykšciai on our last leg back to Vilnius. Anykšciai is one of the most scenic and historic towns of Lithuania, situated among rolling hills and pristine lakes, and certainly a must to visit. 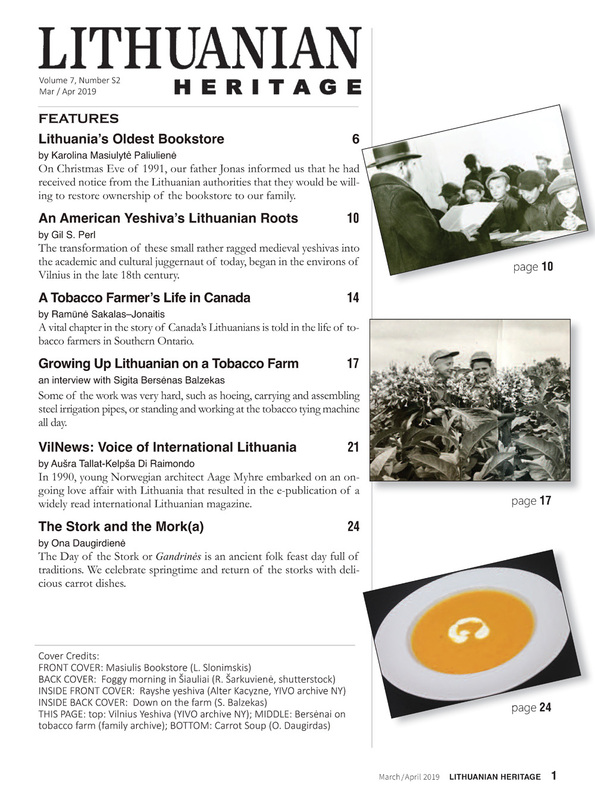 The city and region are connected with some of the most important cultural and literary figures of Lithuania. But since I had also visited Anykšciai a couple of years ago, we decided to skip it this time. The sun was setting by the time we returned to Vilnius. Once again it had been a most pleasant day filled with beautiful sights and long lasting memories.